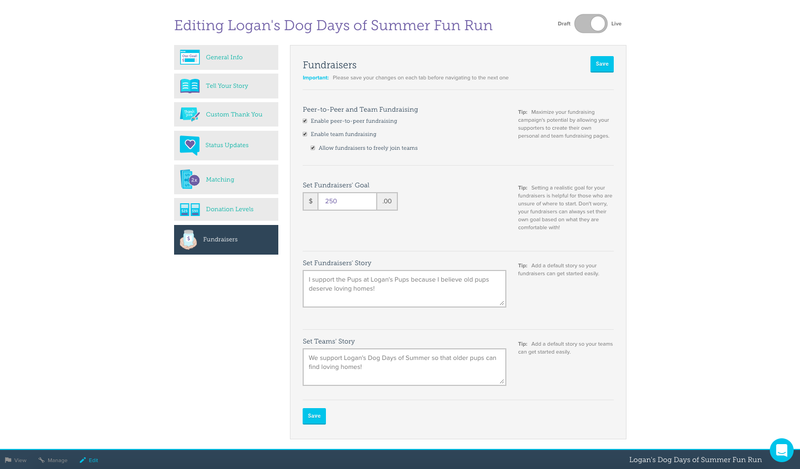 How do I customize my fundraising campaign? 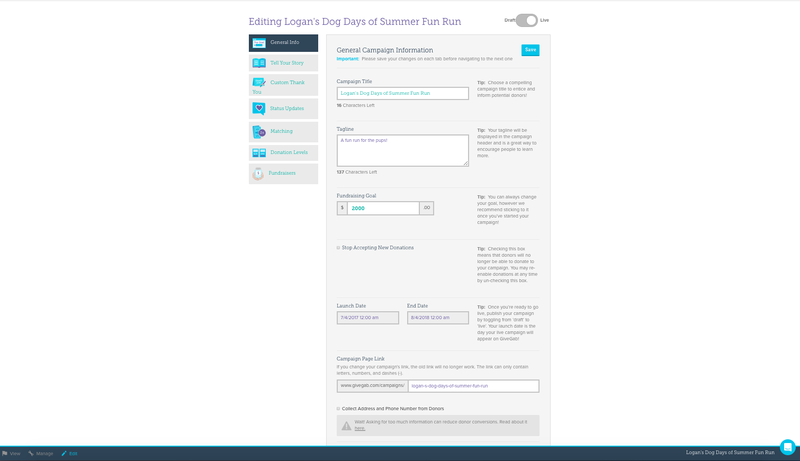 After entering the basic information for your campaign, you’ll land on the “General Info” tab of the Campaign Editor. This tab contains all the information you entered when you created your campaign (Title, Goal, Dates, etc.). This is also where you can opt into collecting donor addresses and phone numbers. GiveGab defaults to not collecting that information, as we find that is slows down the donation process. This section is the "heart & soul" of your campaign page. 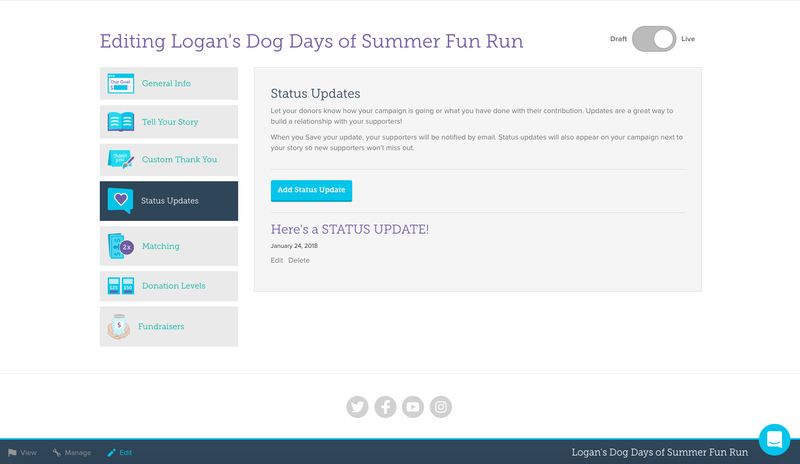 Within this tab you can craft a compelling story using our campaign story editor, add a cover photo, a social share photo (the image that appears when you share your campaign on social media), and any videos related to either your organization or your campaign (make sure they’re high-resolution for the best quality!). 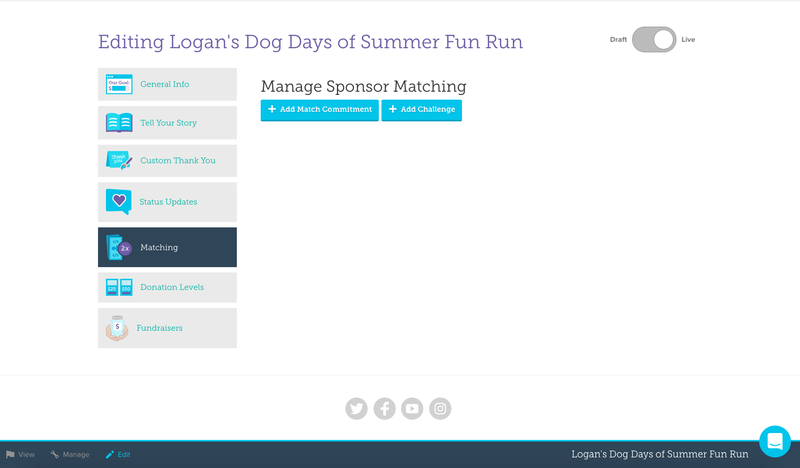 In addition, you'll have the option to customize the colors of your campaign and change the template. Note: you can’t set your campaign to live until you add a story, cover photo, and story image. GiveGab automatically sends your donors an electronic thank you email (which includes their tax deductible receipts!) that will come from whoever your designated contact person is for your organization. 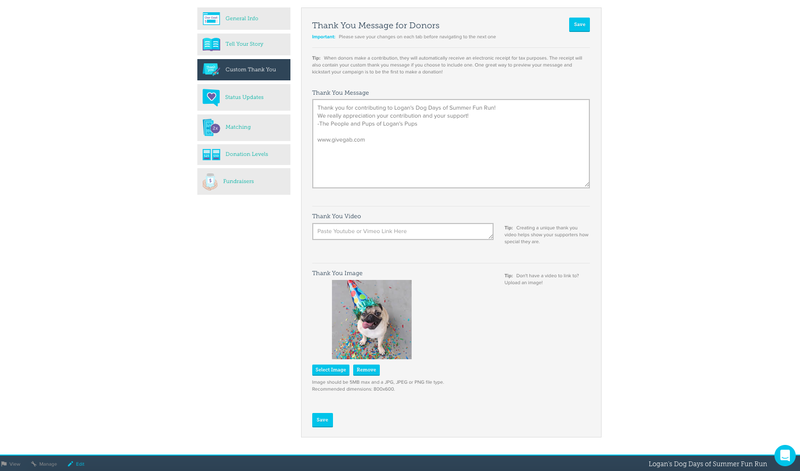 To make sure that email your donors receive is more personalized, add a custom thank you message, a thank you video, and thank you image. This is one of the first steps in successful donor stewardship and a great way to delight your donors! 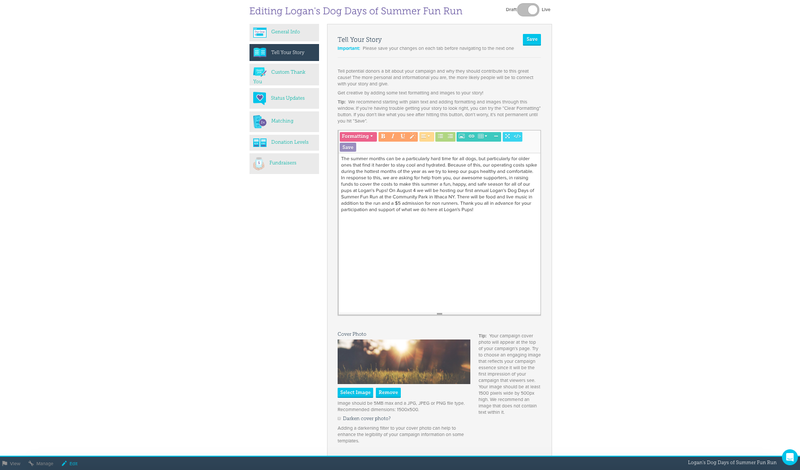 You can use this section to post any updates about your campaign that you want your supporters to see. For example, you could post status updates when you are at 25%, 50%, and 75% of your goal. This is where you will enter any matching commitments you have negotiated with sponsors. 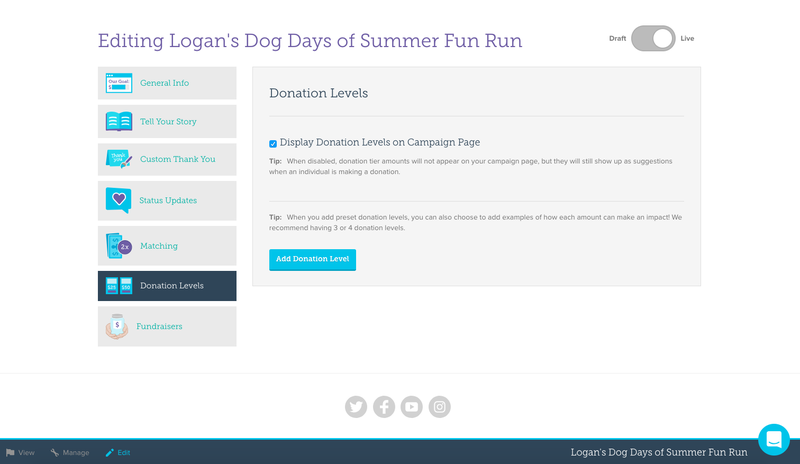 Adding Donation Levels can have an overwhelming effect on the overall success of your campaign. These are your call to action buttons that motivate your donors to give a specific amount. You can modify the amount, add a quick description of that amount (for example, share what that specific dollar amount will do to support this specific initiative), and an image. We recommend adding between 3-5 Donation Levels for your campaign! If your campaign has peer-to-peer fundraisers or teams, this is where you can set the default information for those pages when they are created. You can adjust the fundraiser’s goal, set their automatic story, and, if you have team fundraising, set their automatic story. These are still fully adjustable by the fundraisers if they choose to change them. We highly suggest modifying these fields to something more enticing so if the fundraisers choose not to modify them, there’s still some personalization there. Once you've covered each section your campaign will be ready to launch and share with the world!